The Olympus OM-D E-M5 II is the first Olympus M4/3 camera with a real promise to quality video output. It features 52Mbps output in the "SF" (Super Fine) mode, at 1080p, 60fps (or 50fps if you are in a PAL region country). So how does the video compare with the Lumix GH4, the reference in terms of M4/3 video? This corresponds to an additional crop factor of 1.16. 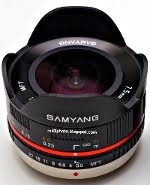 Or in other words, the Olympus 12-40mm f/2.8 becomes 14-46mm when using the video mode. So the effect is not very dramatic. This crop during video is not uncommon, by the way. The Nikon D7200 can only do 1080p video at 60fps with a 1.3x crop of the sensor. And that is Nikon's premier DX DSLR. While we wait for the D400. I think we see that the Lumix GH4 has slightly better resolution, but the difference is rather subtle. The Olympus OM-D E-M5 II also provides a very functional in-body image stabilization feature, which works great during video recording. Here is a demonstration of how it works. By removing the lens, it is possible to look straight into the sensor, to see how it moves during video recording. To video record the sensor, inside the lens mount, I put the Lumix GH4 with the Samyang 7.5mm f/3.5 fisheye lens pointing straight into the E-M5. As you see, even when using a long lens, the Olympus OM-D E-M5 II is capable of stabilizing the video very well. The Lumix GH4 with the Lumix X 35-100mm f/2.8 does not do nearly as well. Continuous autofocus for moving subjects is the achilles heel of mirrorless cameras. So far, Nikon 1 cameras solved this already from the first generation by using on chip PDAF sensors, see my test here. Also, the latest generation of Sony cameras gave gotten up to a good level, e.g., the Sony a6000. But so far, Micro Four Thirds cameras do not use on-sensor PDAF for autofocus during video recording. Rather, they rely on image processing to assess which way to turn the focus. Most of the time, this works pretty ok with recent cameras. 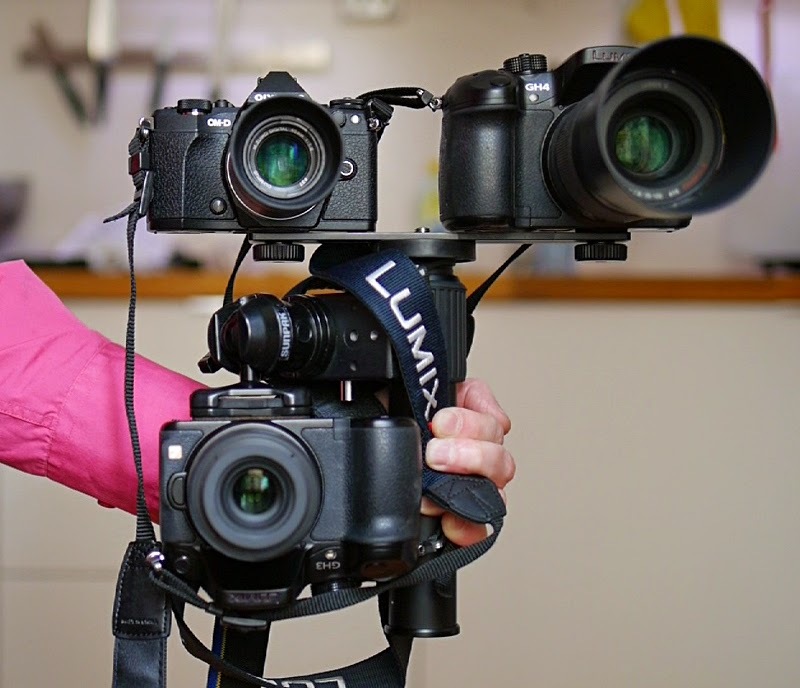 Here is a test comparison with the Lumix GH4 and the Olympus OM-D E-M5 II. First, I used a pair of Lumix G 20mm f/1.7 pancake lenses (the same lens on both cameras), which is known for being slow to focus. In the second half of the video, I used a pair of Sigma 30mm f/2.8 DN lenses. As you see, the Olympus camera keeps up the focus quite well during the video, and some times better than the Lumix GH4. 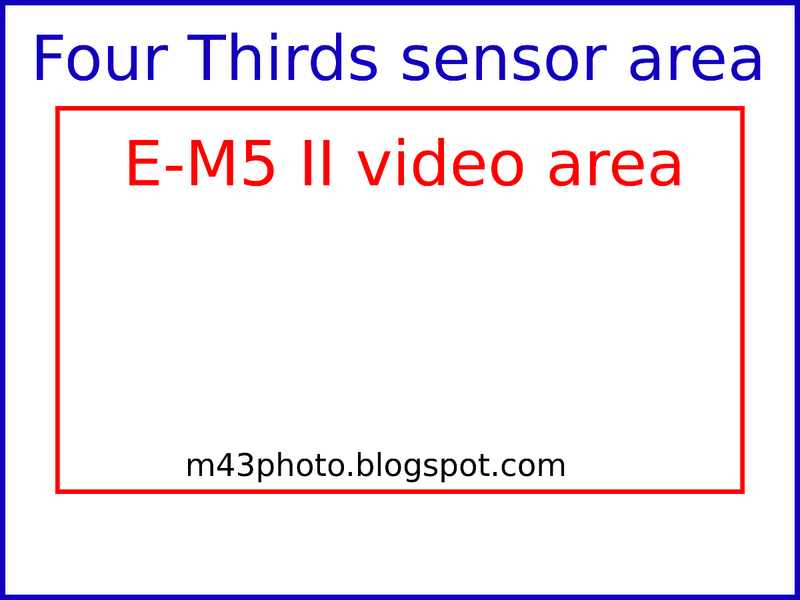 Even if the GH4 probably has more processing power, and boasts about the DFD (depth from defocus) technology, it does not consistently beat the E-M5 II. These videos are not from the same gig, but the lightning is similar, and very dim in both cases. I think the video stabilization implemented on the Olympus OM-D E-M5 II is truly amazing, and it works with all lenses, even with adapted manual lenses, provided that you key in the focal length used. On the other hand, the video resolution is not quite up to that of the Lumix GH4, and the autofocus could still be better. But with the E-M5 II, I think Olympus has brought video to a new level. It seems to me my em5ii has no crop in video mode if digital stabilization not used. Can you confirm it please? Ok. I mean if I use 16:9 ratio for photos and switch to video mode, It does not add any crop for me until I select digital stabilization mode.